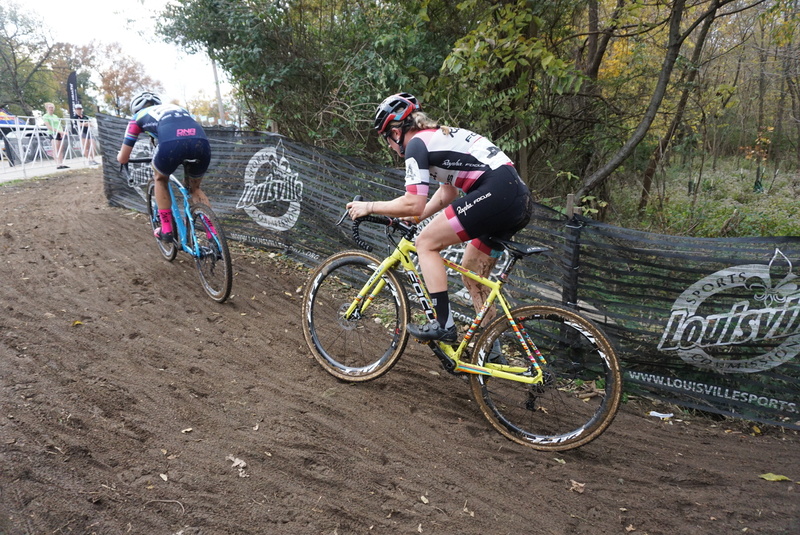 The Aspire team was in Derby City this weekend racing at Joe Creason Park for the finale of the US Cup of CX and the Pan-American Championships. Ellen Noble’s fifth place on Saturday was enough to keep her in third place in the overall series, which ended with that race. On Sunday, Ellen took seventh in the elite women’s race at Pan-American Championships, while Jeremy unfortunately was forced to pull out of the men’s race. Spencer suffered from a dropped chain at the start, was forced to run half a lap to the pit, then—in last place—managed to work his way up to the top 10. Next week, Ellen heads to Europe, where she’ll race the World Cups in Denmark and Germany.